J. Jane Consulting | bonnie low-kramen. new jersey | author. speaker. mother. mentor. business leader. Not one person who achieves greatness does it without the help of others. And the mark of a great leader is one that understands this understated concept and acknowledges it freely. 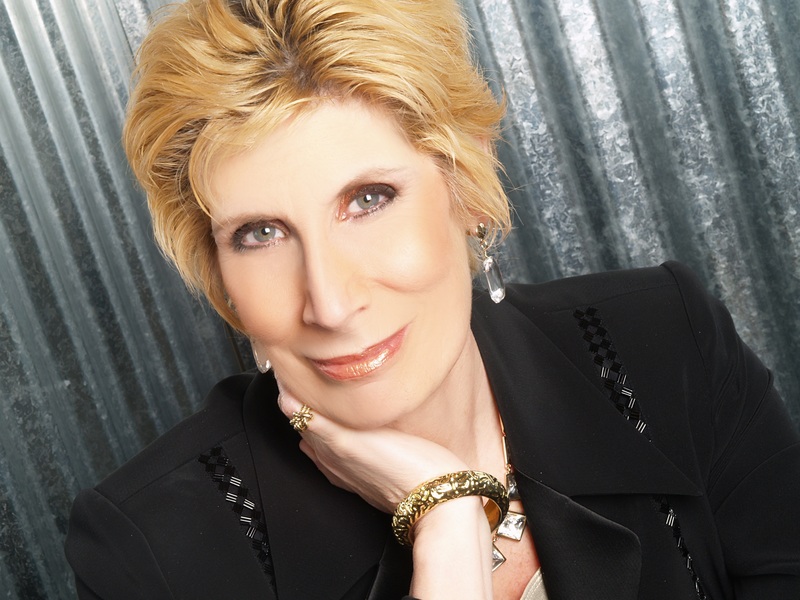 Allow me to introduce you to Bonnie Low-Kramen, an advocate for building ultimate strategic partnerships between executives and assistants all around the world. Founder/CEO of Ultimate Assistant and disruptor of workplace bullying, Bonnie is a champion for creating a successful professional environment by encouraging strong communication, mutual respect, and kindness. Sounds pretty standard, right? Not always. Believe it or not, there are some school yard bullies who do not grow up to be strong, confident leaders. They simply move their bad behavior from the jungle gym, to university, and on into the work place. Often times, this behavior has discouraged women (generally) to speak up for their ideas and for themselves. Until now. Ms. Low-Kramen developed the Speak Up! Pledge, an initiative to encourage both men and women to speak up in the workplace to create a stronger professional environment, which leads to a more successful business. Bonnie knows what it takes to build healthy relationships, and more importantly, she understands the value of mentoring. Before becoming a well-respected business leader and author who co-founded the professional association for New York Celebrity Assistants, Bonnie worked in show business as a personal assistant to the award-winning actress, Olympia Dukakis. Bonnie attributes much of her success to Ms. Dukakis, who took the time to help her navigate the world personally and professionally. Never underestimate the power of mentors. You were a personal assistant to the award winning actress, Olympia Dukakis, for 25 years. Do you have a favorite experience working with one of Hollywood’s greatest actresses? And how did working with Ms. Dukakis shape who you are today? Next to my mother, Ruth Low, the most important mentor and influence in my life was Olympia Dukakis. She was so much more than my employer. She was a role model, an advocate, my dear friend. It’s important to have a friend who can tell you the truth, even if it hurts sometimes. Olympia was that for me. She would say, “Are you sure you really want to know what I think?” If I said yes, I needed to be ready for anything and everything. I began working with Olympia when I was 29 years old. She saw something in me that even I didn’t see. She believed in me and I needed that. All women need other women who really and truly believe in them as a way of discovering who we are. When I told her I was pregnant with my son Adam (now 27), I asked her if she thought it was possible to be a great mom AND a great assistant? She didn’t hesitate. She said that she would rather have a working mother working for her over anyone because they are forced to be so organized. Those acts of support had a direct impact on the woman I am today and I will be forever grateful. One of my favorite experiences was my 2008 book launch party that took place in New York City at the National Arts Club. There were 250 people there and it was standing room only. People from every aspect of my life were there – my 89 year old mother, Olympia, Louis, family, friends, celebrities, colleagues, NYCA members and so many more. It was a magical night as Olympia, Louis, and I talked about the book and our relationship. My worlds all came together that night in June, 2008. Using your experience as a personal assistant, you went on to author the book, “Be the Ultimate Assistant”. What inspired you to write the book and then become a co-founder of the New York Celebrity Assistants (NYCA)? From the early months of working as Olympia’s Personal Assistant, I was painfully aware and not a little shocked at the lack of resources for the people who work as assistants. My strongest instinct was to seek community – the other people who did what I did for a living. The moment I read the notice that a professional organization for celebrity assistants was forming in New York City, I knew I had to be a part of it. That was 1996, the year I began online. New York Celebrity Assistants could never have happened without email and the Internet. I was a co-founder, served one term as President and served on the Board for 15 years. We began with eight people and now 19 years later, I am proud to report the organization is still growing and going strong. And when I went to the bookstore in search of a book on the profession, I found next to nothing. I stood there and said out loud, “I’m going to have to write the darn thing myself.” That was the day in 2002 I decided to write it but it took two years to finish it. Writing a book is very hard work. For me it meant getting up at 4:30 a.m. to write before my son woke up. I set out to write the book that I WISH had been in that store. Eleven years in, I have revised the book five times and it is a bestseller. Best of all, it continues to help assistants all over the world. I don’t want assistants to feel alone or have to wing it anymore. Because I was also very aware of the lack of training for the profession, I began designing the two-day workshop that would serve the assistant community. I launched the Be the Ultimate Assistant public and corporate workshops in 2012. Can you share the importance of a mutually beneficial relationship between an executive manager/supervisor and assistant? And why is it so important to put resources towards properly training an assistant? At its best, the relationship between an executive and an assistant is a strategic business partnership. Olympia Dukakis did not put up any barriers to prevent me from knowing and understanding everything about her business. That enabled me to maximize my effectiveness and to use my time wisely. The heart of the matter is that we all get 24 hours in a day. The question becomes, how do we use that time? My work enabled Olympia to do the things that only she could do. I did everything else. I was able to offer Olympia peace of mind about the details of her life and that was very satisfying for both of us. Fact: people will say things to assistants that they would never say to the executive. That is true all over the world. That means that assistants automatically hold information that the executive does not have and that makes the assistant a very valuable resource. Investing in training for assistants and all administrative professionals is critically important in 2015 because the workplace landscape has changed. There has never been a better time to be an assistant than right now. There has also never been a more complicated time to be an assistant than right now and that is precisely the reason why training is needed. Who are your clients and how do you help them? My corporate clients include Starbucks, Amazon, Dell, Ford Foundation, and the National Hockey League. I speak at women’s leadership and assistant conferences all around the United States, Paris, London, Guadalajara and Dubai. Audiences have been from 40+ countries. Productivity expert and Microsoft Certified Trainer Vickie Evans and I travel to five cities each year teaching our two-day Be the Ultimate Assistant workshop and our students travel from all over the world, including the EA to Bill Gates. My goal with all of these efforts is to provide an inspiring and actionable program that is instantly useful and long-lasting. My expertise is in leadership and communication between assistants and executives. You recently launched the “Speak Up! Pledge.” Can you briefly explain the purpose of this initiative and why you felt compelled to develop it? The Speak Up Pledge was borne out of the awareness that the number one challenge in our workplace is speaking up. Or rather the reluctance, the inability, the refusal, the sheer terror of speaking up when we know we should, but we still don’t. Speaking up is particularly difficult for women because of the way we are socialized as young girls, but it is also a challenge for many men. In my work training executive and personal assistants around the world, I see too much fear, too much suffering in silence, too much leading by intimidation and this dynamic is creating toxic work environments. In the face of this climate, speaking up can be almost impossible. I created two Pledges – one for assistants/staff and one for leaders. The idea is to commit to improved communication in the workplace. Assistants and managers all over the world have taken the Pledge. In fact, a group of assistants in South Africa have taken it on as a company project and now over 30 assistants have taken the Pledge and posted their photos on Facebook and Instagram. I am working to bring awareness to an issue that needs to be brought into the light. Good things happen when we speak up including increased profits from improved morale and higher employee retention. It is smart business to figure out ways to speak up. What was your greatest lesson learned to date? Fear is boring and a waste of precious time. Fear is stopping too many of us from taking action on things that are important to us. Today is a great day to make your move. None of us know what tomorrow will bring so you might as well go for it. Don’t waste one more minute. Respect everyone – no exceptions. Know that as much as you know about people, that there is much that you don’t know. Isn’t that true about you? Everyone has a burden and some burdens are more visible than others. Choose empathy, respect, and kindness over judgment and impatience. You’ll win every time. A very special thank you to Olivia Sullivan, former j. jane intern, j. jane consulting contractor, and networking extraordinaire, who met Ms. Low-Kramen at a book festival. Without her, this interview would not have been possible. No doubt about it, Bonnie has the energy you want to be around! She is kind, intelligent, and incredibly motivating. Connect with her on Facebook and Twitter and visit her website to learn how you can schedule her to speak at your next conference. To purchase Bonnie’s book, visit Be The Ultimate Assistant.